AFTER hot weather and dry conditions forced the use of a diesel loco on June 18, the ‘Torbay Express’ suffered more misfortune on July 2 when the booked steam loco – No. 60163 Tornado – failed before departure from Bristol. Injector problems discovered the previous day prevented the ‘A1’ from hauling the train, and it proved impossible to arrange a replacement at short notice. 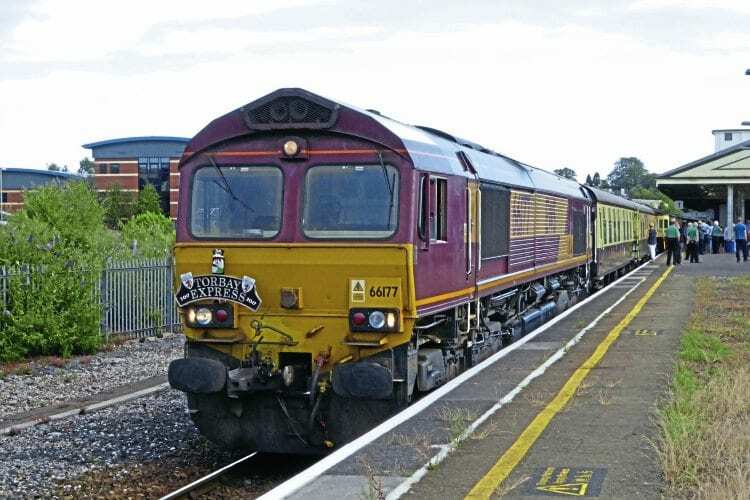 A DB Cargo Class 66 substituted for Tornado, but the ill-fated train was then heavily delayed on its return journey by operational issues and a signal failure north of Exeter. The train eventually arrived back at Bristol at around 23.00, too late for many of the 403 passengers to make onward connections by rail.